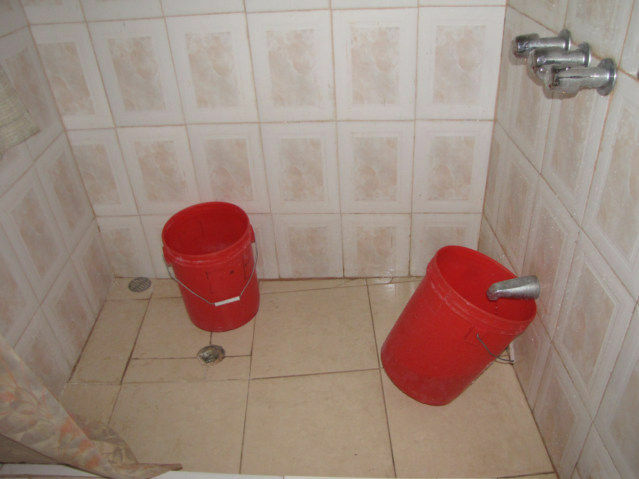 If you enter a room and find a bucket or two in the shower, fill them with water. 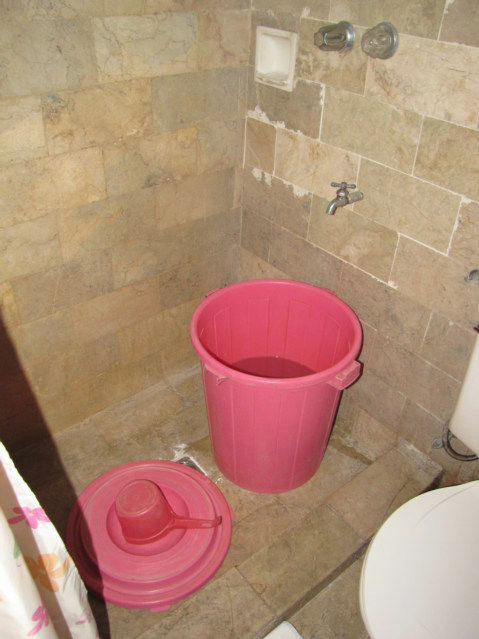 I immediately filled these two buckets with water here in the Eben Ezer Hotel in Miragoane, Haiti. Translated, the buckets are there because there is a water problem. They are needed, but they will not do you a lick of good empty. I photographed this picture in the Blue Boar Inn in Angeles City, Philippines. Why are the buckets there? 1. To flush the toilet. 3. Sometimes in Asia the locals will not take showers, they only do a dip bath. 4. In a few countries, the Hotel will bring Hot water to the room for a dip shower. A good hotel will have a large holding tank on the roof, or a cistern. They continually fill these tanks and never run low on water. Nonetheless, best to fill the buckets.